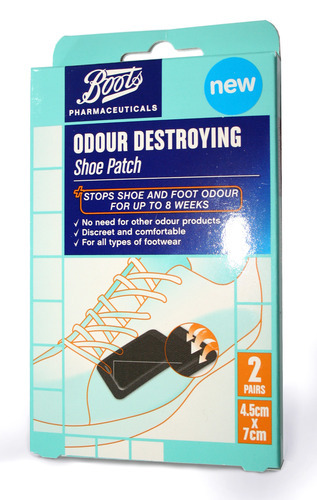 Successful sales, by the High Street store Boots Pharmaceuticals of a brand new cutting edge technology ‘Odour Destroying Shoe Patch’, has led to further substantial orders for the manufacturer, Odegon (“odour, gone”) Technologies. 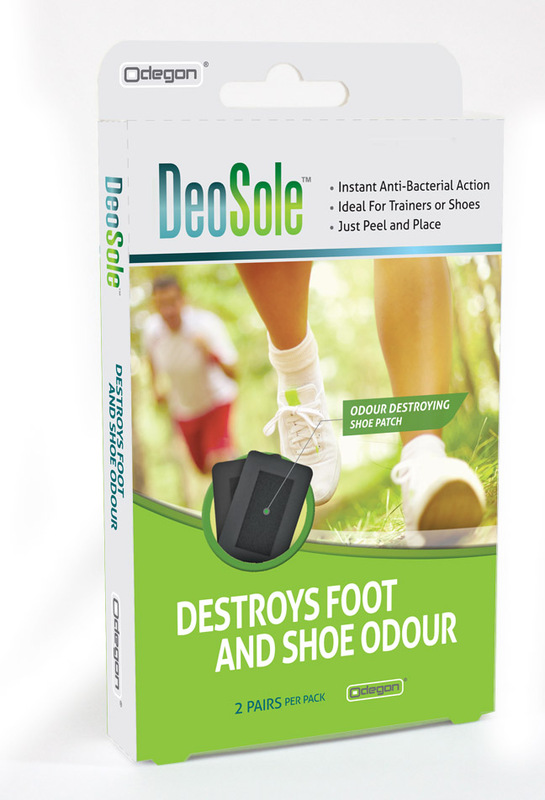 Managing Director at Odegon, Tom Rawlings, said: “Our ‘DeoSole’ shoe patch is very different to other odour controlling shoe products. It uses a unique nano-porous technology to neutralise odours at source, as well as providing continuous protection for shoes and feet. Unlike existing insoles, one size fits all for instant use and it does not need to be cut to size before inserting”.